These ideas are all gorgeous and full of meaning. 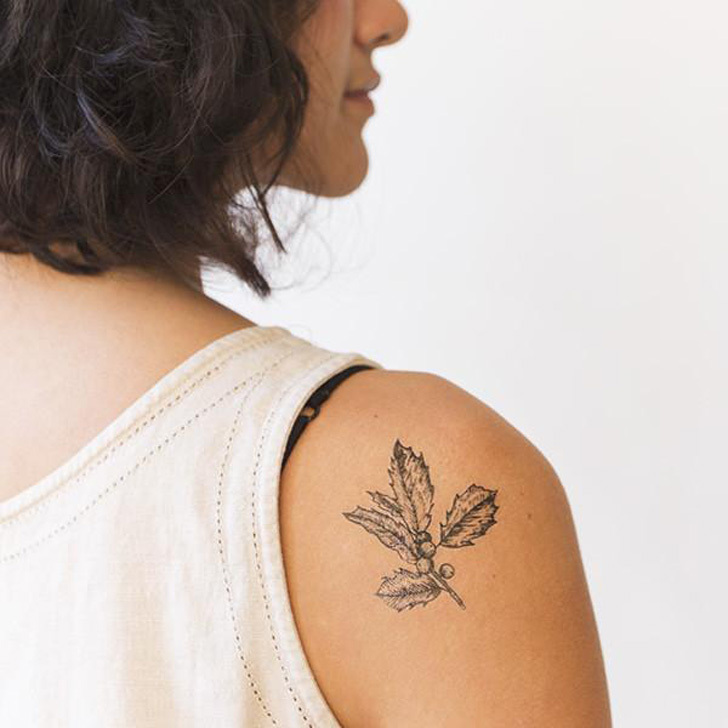 Are you in the market for tattoo ideas? Looking for something pretty and meaningful? Do you really like flowers and nature? If you've answered yes to all three of these questions, here are 7 designs that are sure to tickle your fancy. 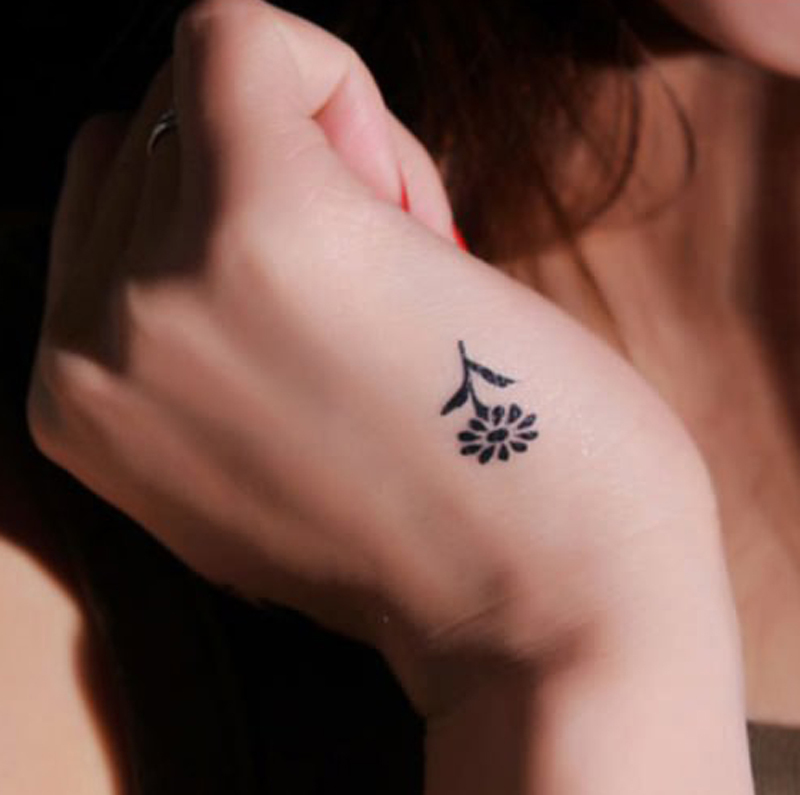 Meaning: Holly is mostly grown in the wild, and getting this tattoo symbolizes freedom and a need for living a life of exploration. Holly also takes a while to grow, which means you are open to life's ups and downs and acknowledge that you'll make mistakes. However, you will learn from them and grow into the person you are meant to be. 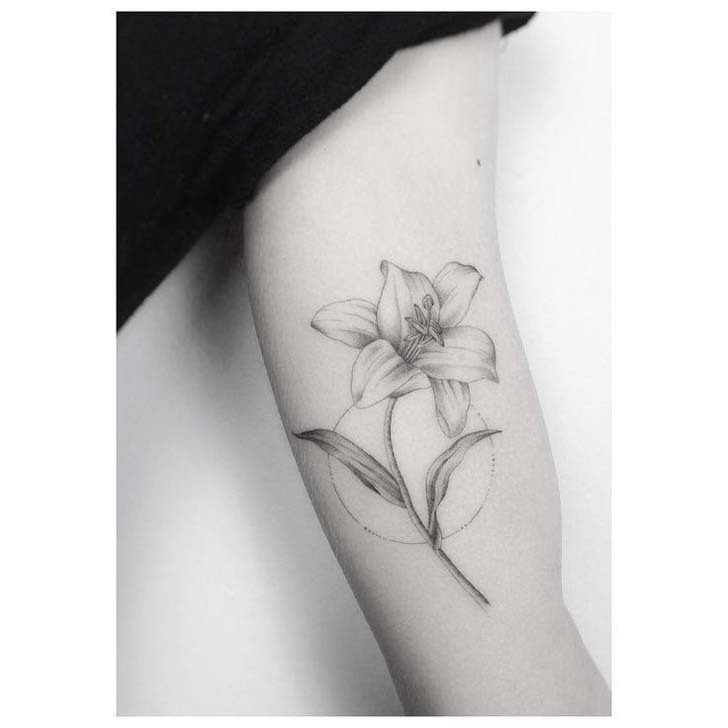 Meaning: Lillies are often a representation of rebirth or motherhood, making this a great tattoo for a new mother or someone who has gone through a trying time but came out of it stronger. 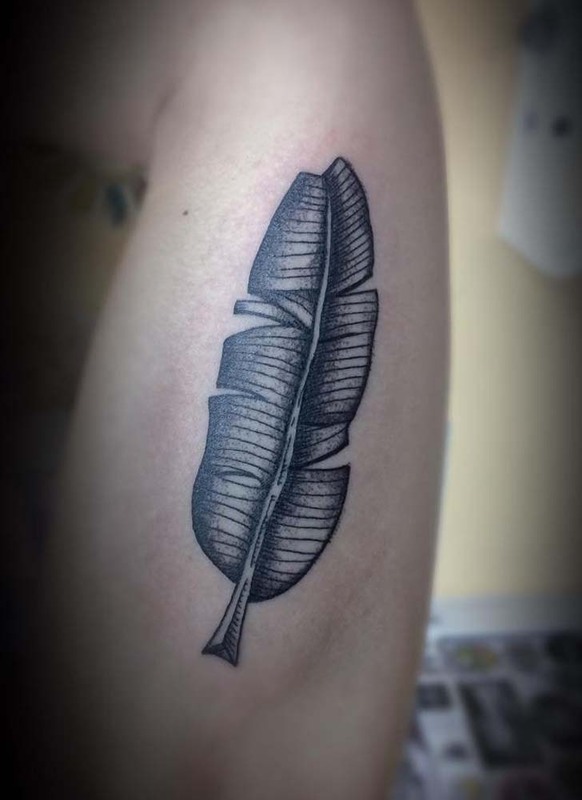 It's also a symbol of youth, and can be a great tattoo for someone who lives with the motto "forever young." Meaning: This is the symbol of love and passion, and is often tied to Aphrodite and Venus, goddesses of love. Each color of a rose symbolizes something different, so if you decide to get this in color, be sure to look at which color you think fits the meaning you're looking for the best. This is perfect for someone who went through a trying time and learned the invaluable lesson of self-love or experienced true love with someone for the first time. 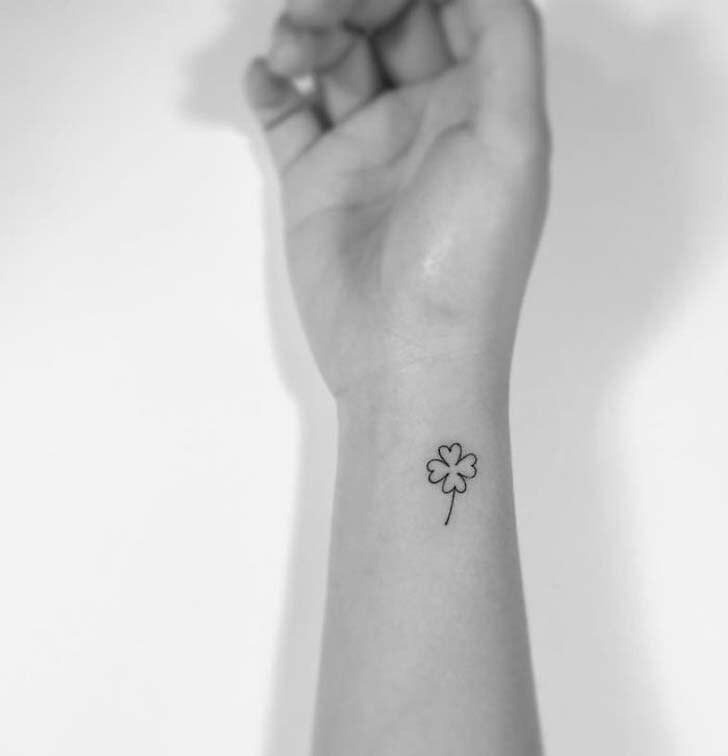 Meaning: Four-leaf clovers are meant to symbolize good luck. 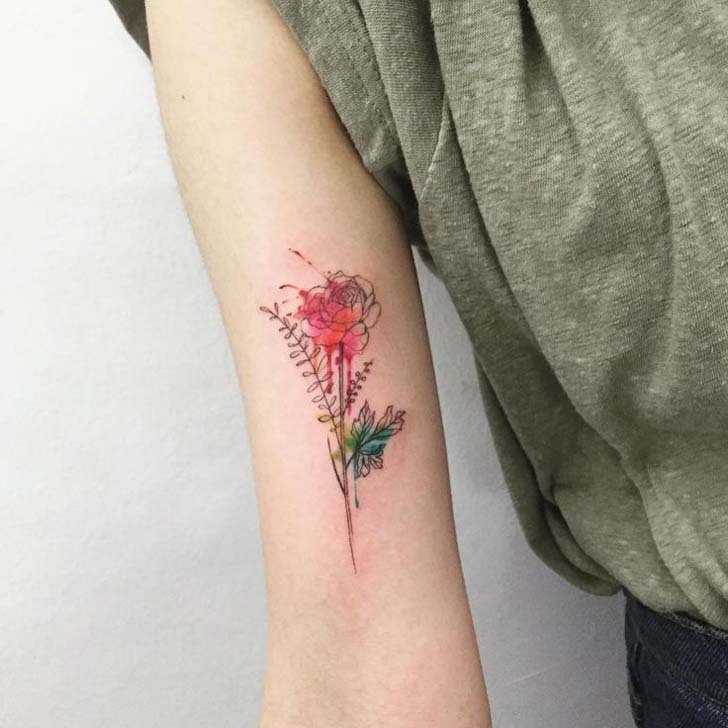 Getting this minimal tattoo is not only stylish but will also remind you that luck is always on your side, no matter what new venture you decide to take on in your life. 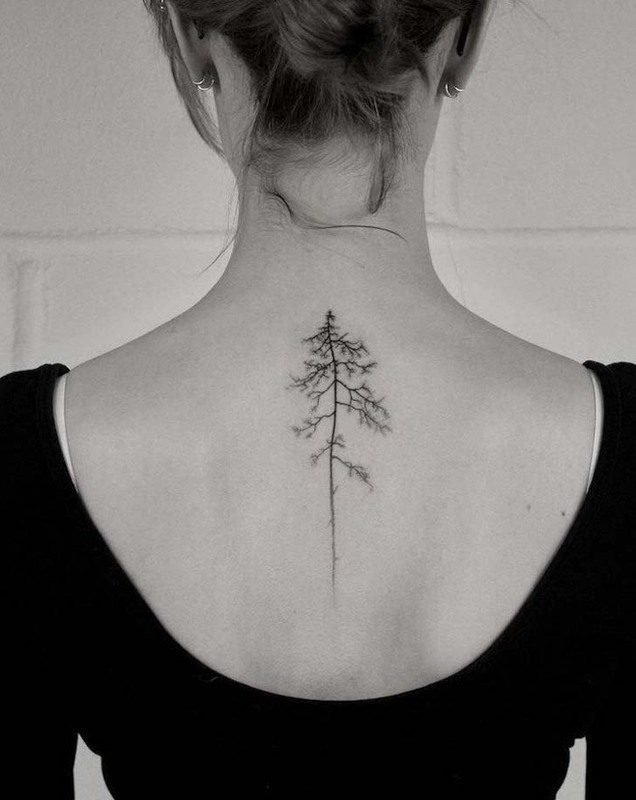 Meaning: According to Owlcation, "To many Native people, the pine tree is a symbol of wisdom and longevity. To others, its needles and sap are a medicine that protects people from illnesses, witchcraft, and more." Getting a pine tattoo can mean protection and a reminder that you are always loved and cared for by something much greater than yourself. There is no need to worry. 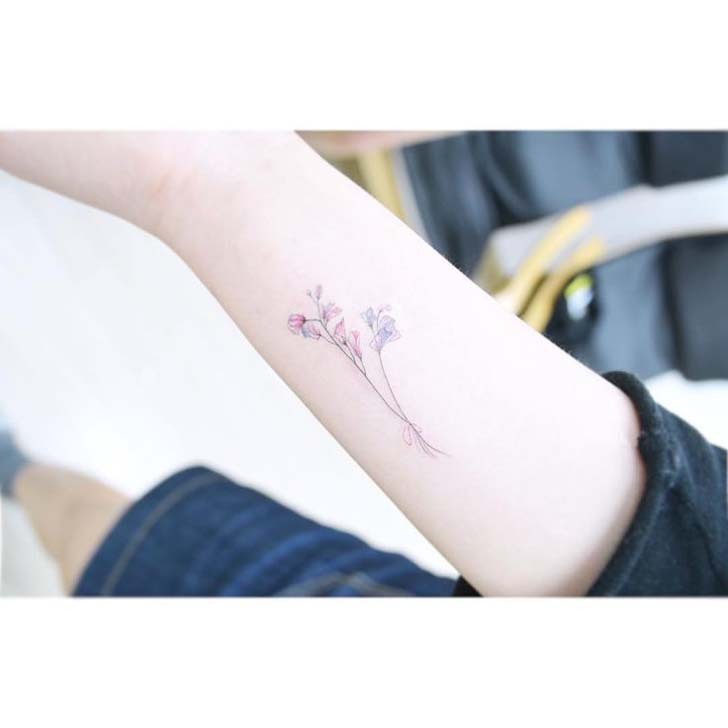 Meaning: Baby's breath is symbolic of everlasting love, whether it be familial, platonic, or romantic love. This is a good tattoo for someone who has lost a loved one and wants to remember them. Getting this design will be a permanent reminder of the love you had for this person, and that they are always with you in spirit. Meaning: According to a study published in the Journal of Pharmacognosy and Phytochemistry, all parts of the banana plant have a medicinal use. The study states "Even banana leaves can be used as a cool compress for burns or wounds." Getting a tattoo of banana leaves is a reminder that you live for helping and caring for others.